We started our night of indulgence with a couple of starters. This was almost a deadly mistake due to the size of the portion of nachos – although death by nachos would be a pretty good way to go. If you want to stay alive definitely get these to share. Next up was the main event, the burger. For their 10th birthday, Byron have brought back some of their classic specials for a limited time only. 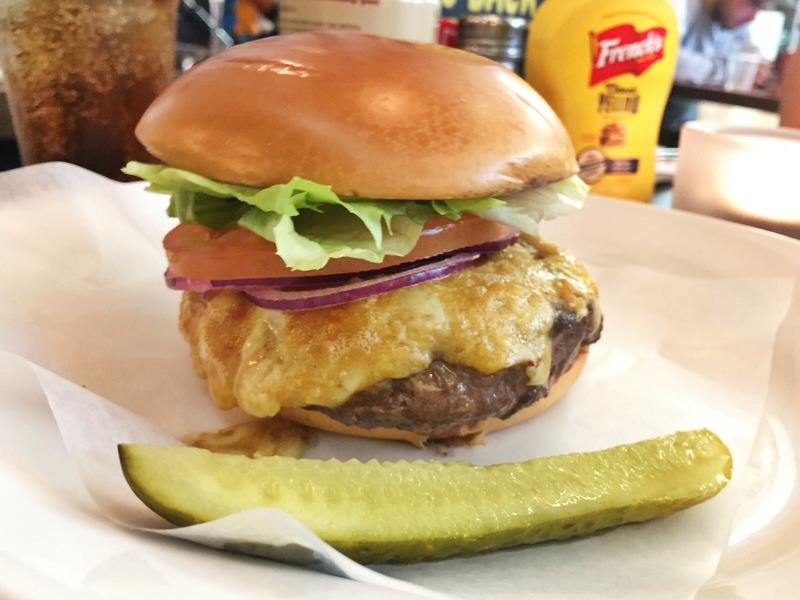 On our visit the special was the Gizzmo, a Welsh rarebit covered burger created by TV chef Gizzi Erskine. 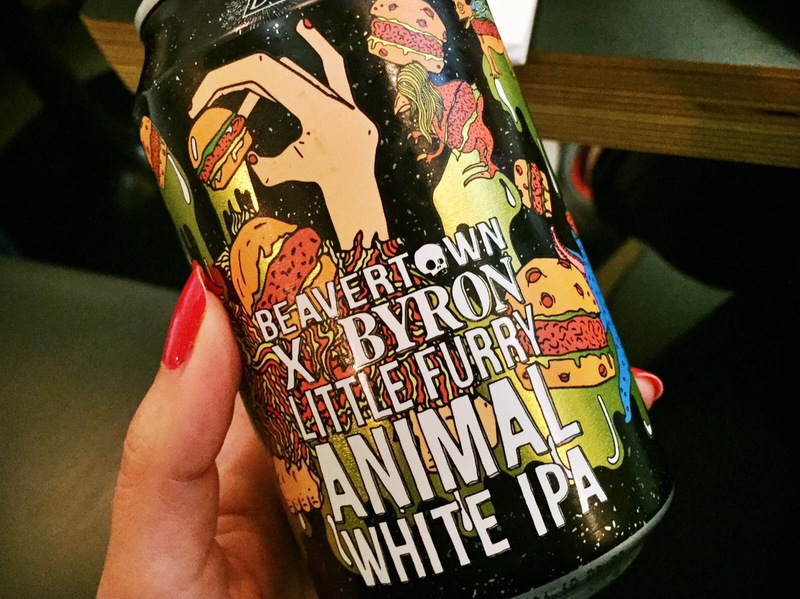 Byron have also teamed up with Beavertown Brewery to create exclusive beers designed to be paired up with the burgers. We decided to go for the Gizzmo, and my boyfriend had the beer too – called Little Furry Animal. I’m no beer drinker myself but it went down a treat with him. Apparently it was a good one to have with food as it wasn’t too hoppy – I hope that means something to the beer aficionados! The burger itself was really good, with a nice strong taste of cheese from the rarebit and a simple crisp salad on top. Byron cook their burgers medium, so it was tasty and succulent. 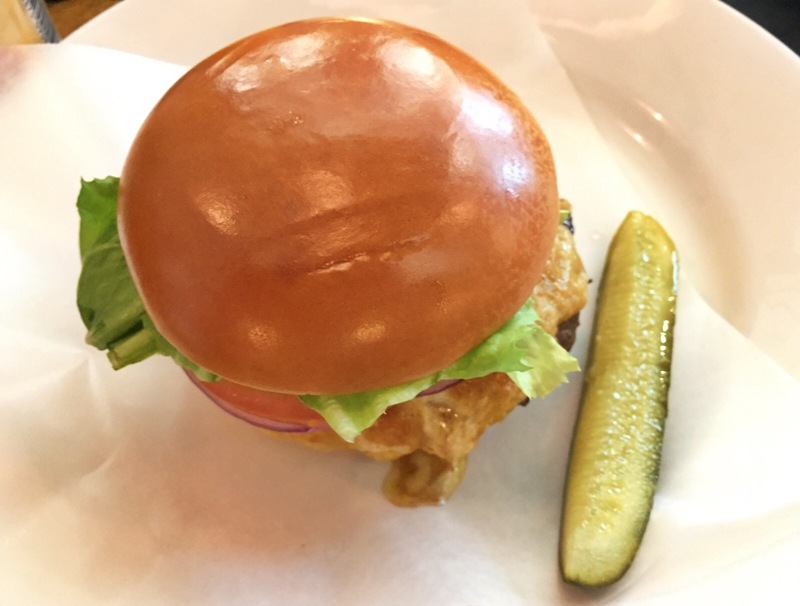 All of Byron’s burgers come served just with a pickle, so you can add your own sides. I can’t always manage a huge portion, so I like this idea. This time we went for some French fries and onion rings, which were both done to perfection. Once the burger was dispatched with, it was time for something sweet. We shared an Oreo cheesecake and I decided to push the boat out for a Reese’s peanut butter milkshake. I have to say it was one of the best milkshakes I’ve ever had – made with ice cream but not too thick to drink, and it tasted exactly like peanut butter cups! Yum. 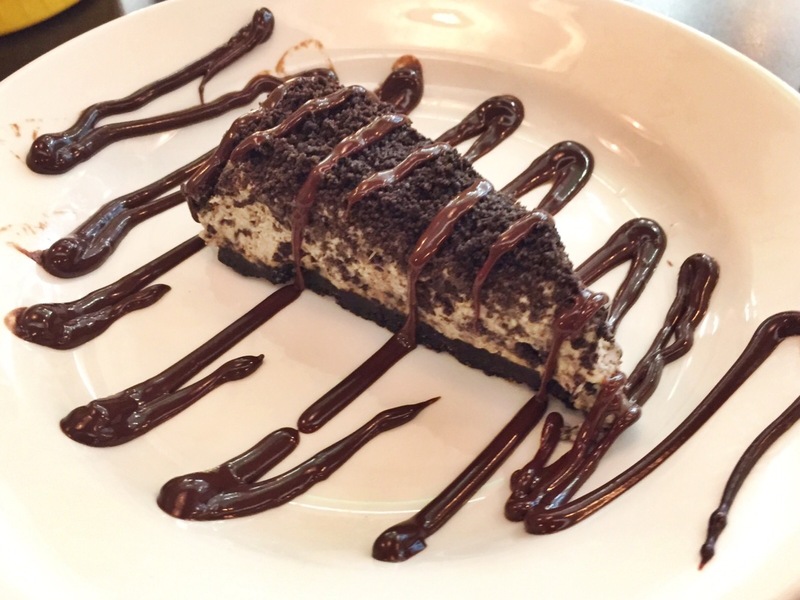 The Oreo cheesecake was really light, so it wasn’t too hard to polish off after all that food. It had a good tang and of course that lovely Oreo base. Thanks very much to Byron for inviting us along to celebrate their birthday and that all important National Burger Day. You’ll be seeing us again soon!